During his prolific career in the media, Nick has covered major news stories across radio, television and press, both in the UK and internationally, and has interviewed some of the biggest names in showbiz, such as Elton John and David Bowie, to name but a few. He continues to present the day’s top news stories on LBC, creating dialogue between regular guests—such as Ken Livingstone—and live callers and driving campaigns on behalf of Londoners. In 2009, he led LBC 97.3’s coverage of the London Mayoral elections and hosted the first live radio mayoral debate with the three main candidates. He also secured the first full press interview with Boris Johnson after he was elected Mayor of London. Nick also presented The Big Can't Pay? Debt Debate: Live (2014) and NHS in Crisis: The Live Debate (2015) on Channel 5. His career began in print news. After seeing his father run Ferrari Press Agency, Nick was keen to make a name for himself in the same industry; fresh-faced from college and following a stint at the Kentish Independent newspaper, Nick joined the Sunday Mirror in 1981 as a news reporter. From there, he went on to a range of newspaper posts – he joined The Sun as Showbiz Reporter, was soon promoted to Editor of Bizarre (The Sun’s celebrity gossip page) folowed by a role as the paper’s Deputy News Editor, and eventually he became Editor of Sunday Magazine (News of the World). Nick soon entered the radio industry. In 2001, he presented his first breakfast show on LBC 97.3, which he officially joined in 2004 and use to inspire his own sell-out stage show in which he re-enacted his radio programme for a live audience at many theatres across London. 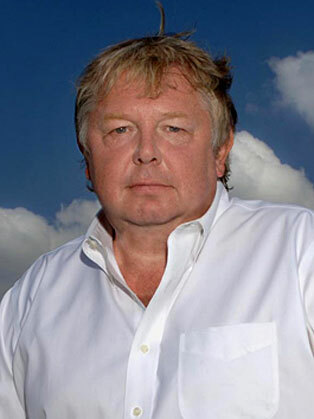 The stage shows were so popular that they were repeated following the release of his debut book, The World According to Nick Ferrari (later revised as The World - and London - according to Nick Ferrari). Nick has won prestigious industry awards, including the 2006 Sony Radio Gold Award for Best Breakfast Show and the Arqiva Presenter of the Year. A regular guest on The Alan Titchmarsh Show and Channel 4's Richard and Judy, he has appeared on many other TV programmes including GMTV (ITV1); Daily Politics and Newsnight (both BBC2); London Talking (ITV London); Heaven and Earth (BBC1); The Pulse (ITV) and London Tonight (ITV London News) and BBC London Television News. Currently a regular panellist on The Pledge, SKY News Weekly Discussion Show.